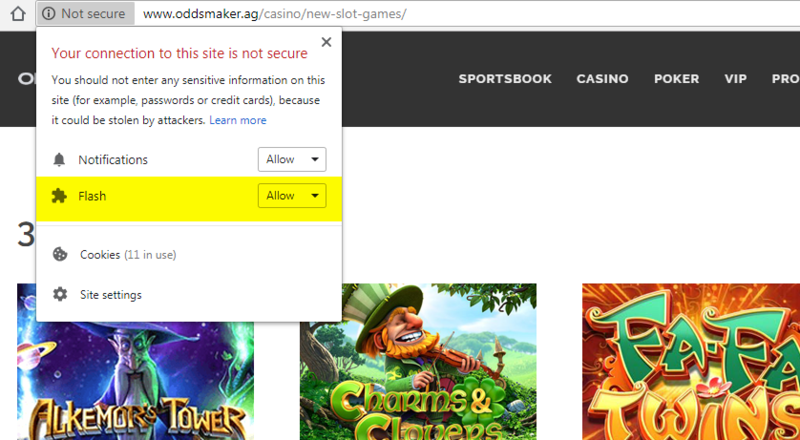 In Chrome, click on the "(i) Not secure" area and it will bring up a box. Simply change the Flash setting to "Allow". Once this change is done your Flash games will load properly.